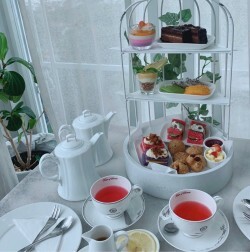 Having a wide range of drink and food selection, from tea to coffee to fruit juice, from appetizer to main dish to dessert, Organika House would be a good choice for you to come and enjoy at anytime of the day!Service and environment are excellent.All day high tea set is good, with savory bites better than the sweet ones. Having a wide range of drink and food selection, from tea to coffee to fruit juice, from appetizer to main dish to dessert, Organika House would be a good choice for you to come and enjoy at anytime of the day! Service and environment are excellent. All day high tea set is good, with savory bites better than the sweet ones.